While looking for the word for the changing colors of the leaves in Japan, known as kouyou (紅葉) or momiji when referring to maples (Source: kyuhoshi.com), I came across photos such as the one below, taken in Japan during their fabulous “flaming foliage.” If you search the word “autumn in Japan” you will find many wonderful photos such as these. 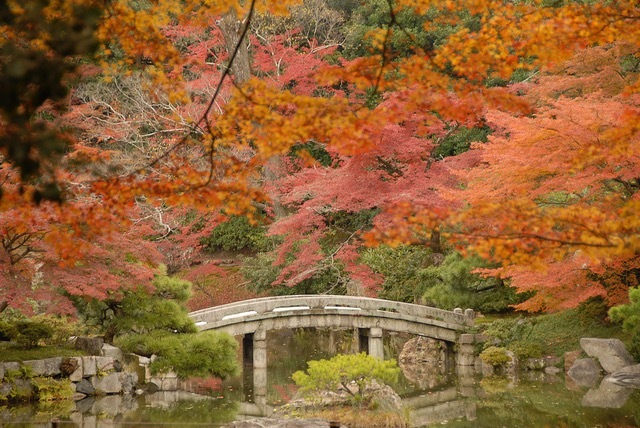 I never knew Japan rivaled New England in the autumn leaf department, but I stand corrected! Fall is my favorite season of the year, and since it is too early to capture such photos here in Pennsylvania, I am featuring a photo I found on the Internet. Soon, but not yet, I hope to find such lovely photos such as this one, a perfect example of kouyou, noted above. As the leaves begin to turn and the air becomes cooler, my thoughts turn to denser foods, such as stews and soups, although the late summer weather can still be warm, so there are some crossovers, with light salads on the late summer days, and warming soups on the chillier days. 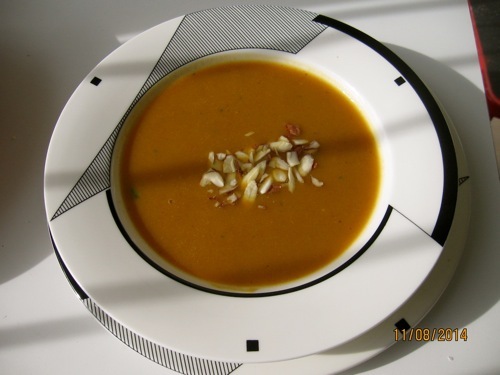 Here is photo from one of my previous soup postings. New ones are still on the drawing board…. Shifting to another food topic: During the summer, I experienced a bout of laryngitis that was diagnosed as LPR reflux or laryngitis reflux and I am now on a high alkaline diet/low acid diet, which I had written about before I knew I had this problem. Here is an internal link to two books I reviewed on the topic of balancing acid foods with mostly alkaline foods that lists the top 10 alkalizing foods: https://www.menupause.info/archives/5019. (You can also type in alkaline foods in my search box for more links on my site.) 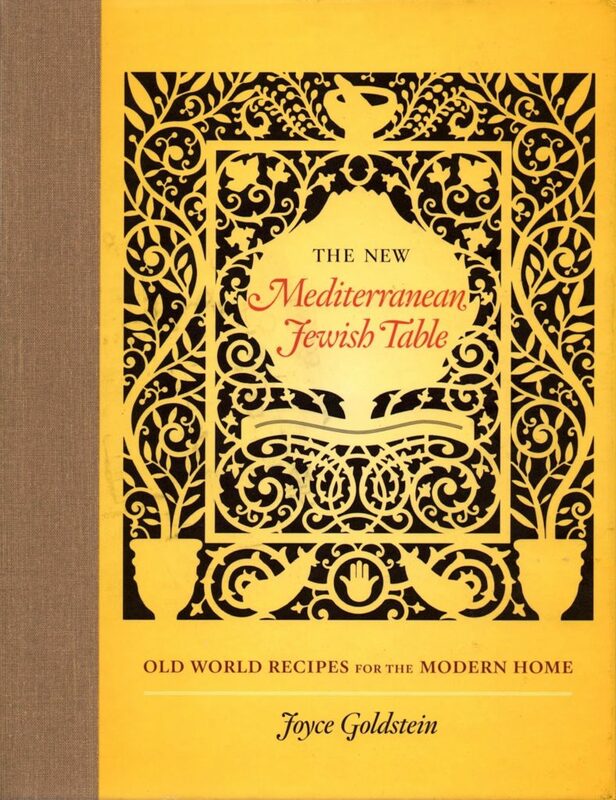 I will be posting some recipes that are more alkalizing once I receive two more food books I ordered. MAM’s goal is quite simple: educate people about menopause, and shine light on innovations in menopausal science and technology. We want to be the go-to online source for everything menopause. From general information about symptoms and treatment to anecdotal relief and support systems, MAM is here to help. The person you sleep with complains about snow piling up on the bed. Your husband jokes that instead of buying a wood stove, he is using you to heat the family. You write post-it notes with your kid’s names on them. You take a sudden interest in “Wrestlemania”. You’re convinced there’s a God and he’s male. 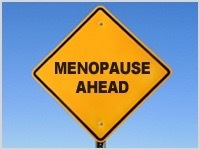 Again, go to the website for more information: menopauseawarenessmonth.org. October is Breast Cancer Awareness Month, and I will be posting more about this next month as I gather more information this month. 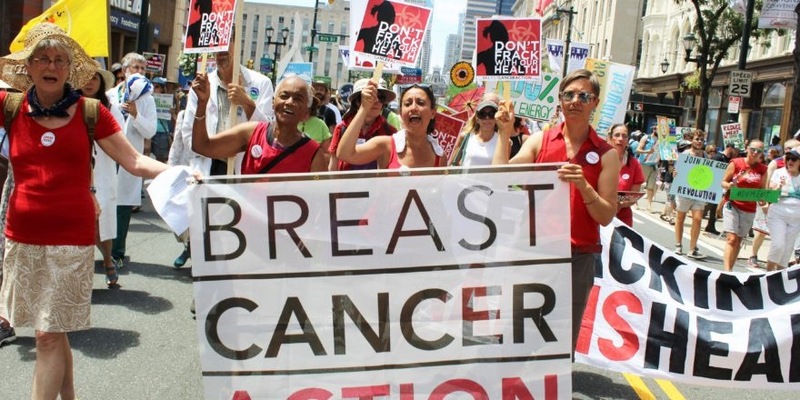 There was a rally right here in Philadelphia by Breast Cancer Action (bcaction.org), which I support because they examine companies that produce products that are carcinogenic and work to expose them. Ironically, when they came to Philadelphia for the rally, I was in the S.F. Bay area, which is where they house their headquarters, so I missed the rally right here in Philly. This is a photo from their site that was taken in Philadelphia this summer. There is a lot going on in the fall, but I hope you will take time to enjoy the leaves turning their gold and red and russet. When I was a youngster, one of my favorite movies was Good News with June Allyson and Peter Lawford, and one of the songs from that movie was “The Best Things in Life are Free.” That’s how I feel about Fall. Leaf peeping doesn’t cost a thing. You can go to a park or if you live in the suburbs, just stroll on any street and watch the trees become transformed. It’s FREE! I am dazzled by Fall every year. Even though I grow older, leaf peeping never grows old for me! 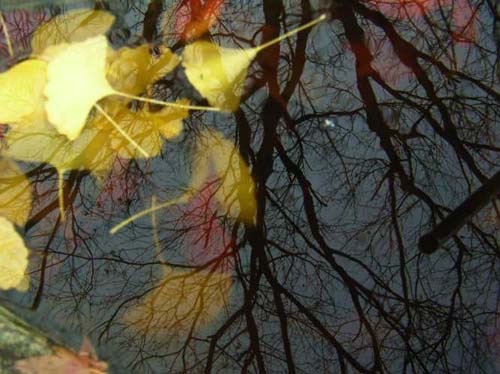 This photo from the Internet was taken, I believe, in the evening with ginkgo leaves in the foreground, possibly being reflected from a lake. I love it! This entry was posted on Thursday, September 1st, 2016 at 9:43 am	and is filed under Home Page. You can follow any responses to this entry through the RSS 2.0 feed. You can skip to the end and leave a response. Pinging is currently not allowed. Thank you for all of your research on these topics. My nephew is married to a Japanese woman. they equally apply to the Elderly as well for the internal thermostat wildly fluctuates.